The Classic City is celebrating St. Patrick&apos;s Day all week with exciting events and specials! Take advantage of St. Patty&apos;s deals at local Irish pubs and breweries. Landsdowne Road Irish Pub, The Globe and Cutters Pub will all have celebrations you do not want to miss. Listen to authentic Irish music at the Melting Point while drinking a few Guinness and Killians beers to truly honor the Irish tradition. Enjoy and appreciate green beauty around Athens by participating in the St. Patrick&apos;s Day Ride. Become a beer activist! Check out The Art of: Brew to see how you can truly learn the art behind brewing award-winning beer. Grab some dinner and drinks at Molly O&apos;Shea&apos;s Irish Pub and Restaurant. 5. _________________Insert YOUR ideas here -- Comment Away! 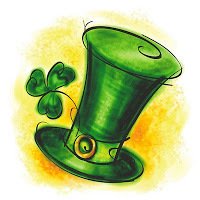 Click here to see more St Patrick&apos;s Day events in Athens, including kids&apos; festivities.